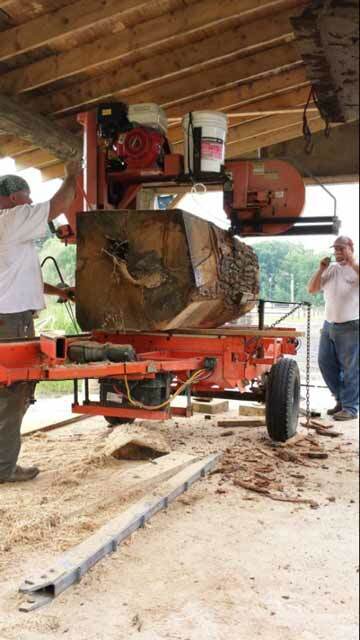 Welcome to Log-Gistics Portable Sawmill. Log-Gistics is a custom, mobile sawmill operation located in Southeast Lower Michigan. 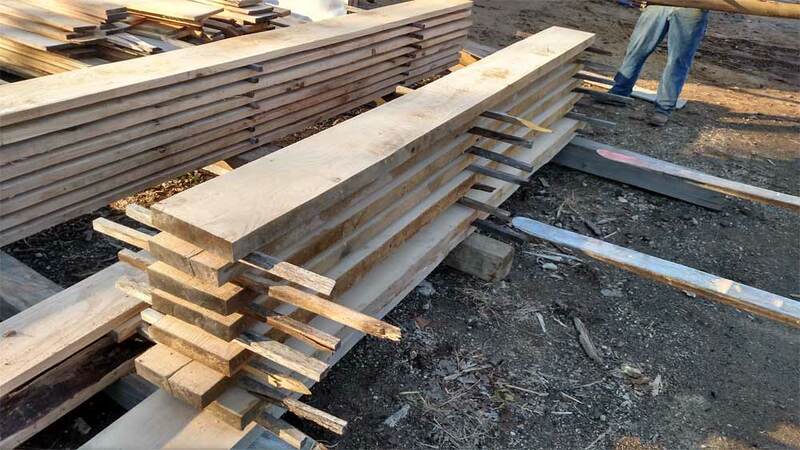 Our mission is to support you, the local landowner, contractor or woodworker with the desire to turn your trees and logs into a valuable wood and timber product. Reclaiming lumber from large urban area trees for the property owner is one of our specialties. Our portable sawmill coverage area includes Wayne, Oakland, Macomb, Washtenaw, Livingston, Genesse, Monroe and Jackson counties. We also cover Lucas county in Northern Ohio. Whether a woodlot in rural southeast Michigan, or a backyard in Farmington Hills or Detroit, our Wood-Mizer mobile sawmill can come to you! Log-Gistics is your Neighborhood Sawmill! 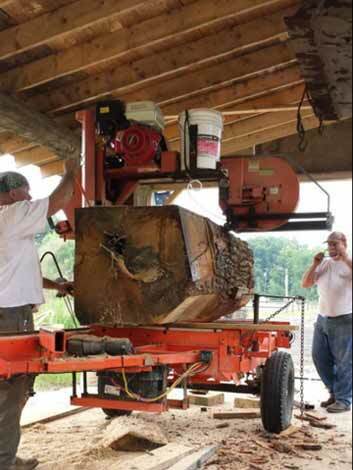 Portable, custom sawmilling with our wood-mizer bandsaw.Large 36 inch log diameter capability. 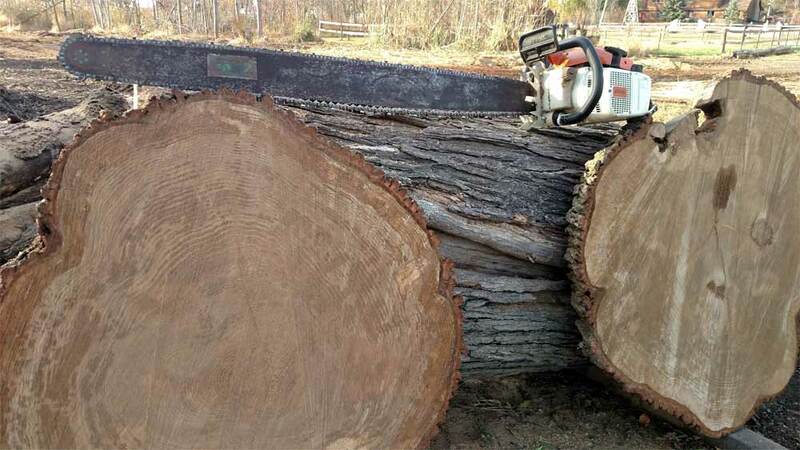 Large chainsaw capabilities for breaking down oversize logs, bucking large logs to length, cutting large slabs or log cookies for unique projects. We are a buyer of logs and also have a large large variety of species and sizes of logs available to saw out for your special needs. We work with everyone from small private land and home owners to large construction companies. Support Equipment: Bobcat skidsteer, Tractor and loader, Heavy duty trucks and trailers and other various sawmill support tools and equipment. Custom sawn lumber Live edge slabs Mantles Trailer decking Construction lumber Side boards for dump trucks, Any wood you need for construction sites Siding lumber Custom work with chainsaw Pasture fencing Decorative beams for custom homes Structural beams, also for Timber Frame Wood for special occasions, cookies for wedding and celebration center pieces. Whatever you can dream up we can try to create it! 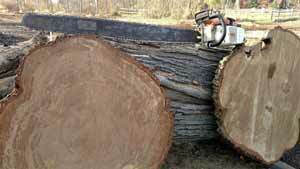 49" chainsaw capabilities for slabs and slabbing, cutting "cookies" or breaking down oversized logs. 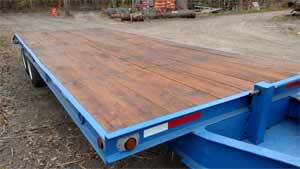 Lumber and timber products from your logs or ours.